The introspective Chicago rapper returns to the neighborhood he grew up in. Mixtape Saturday: FADER contributor Meaghan Garvey rounds up last week’s great mixtapes, including Ibn Inglor, The Devil, Shyst Red, and Willie Neal. 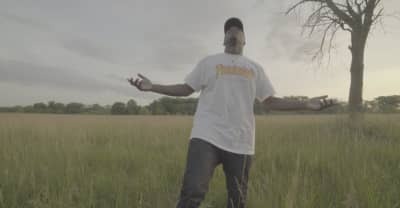 Chicago’s Ibn Inglor releases a video for “Cold Storm,” a highlight off his thrashing, DIY-Yeezus “New Wave” tape.